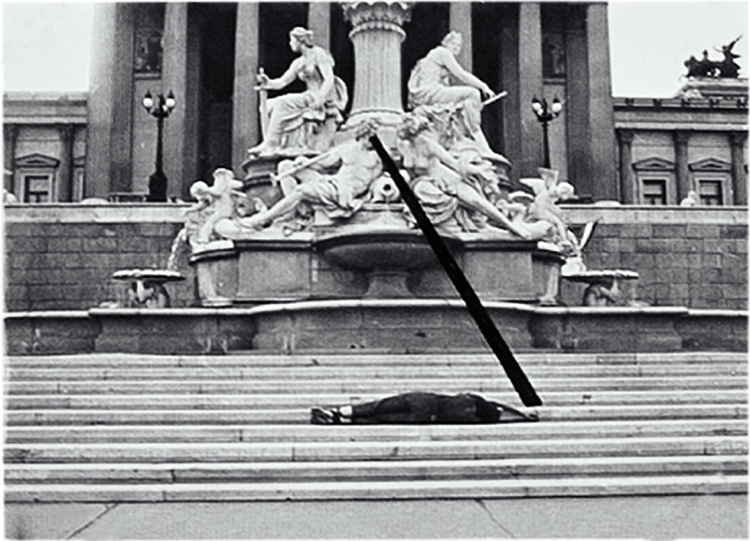 Together with the Igor Zabel Association for Culture and Theory and Department of Art History of the Faculty of Arts, University of Ljubljana we cordially invite you to attend two public lectures by Mechtild Widrich (in English) that are part of the Art for Collective Use: Monument, Performance, Ritual, Body Seminar. How is experience formed in relation to the disparate bodies, artifacts, and discourses of performance and how (if at all) are these experiences organized and made legible as history? I will show how delegated performance turned into delegated architecture in the work of central European artists in the last decades (e.g. 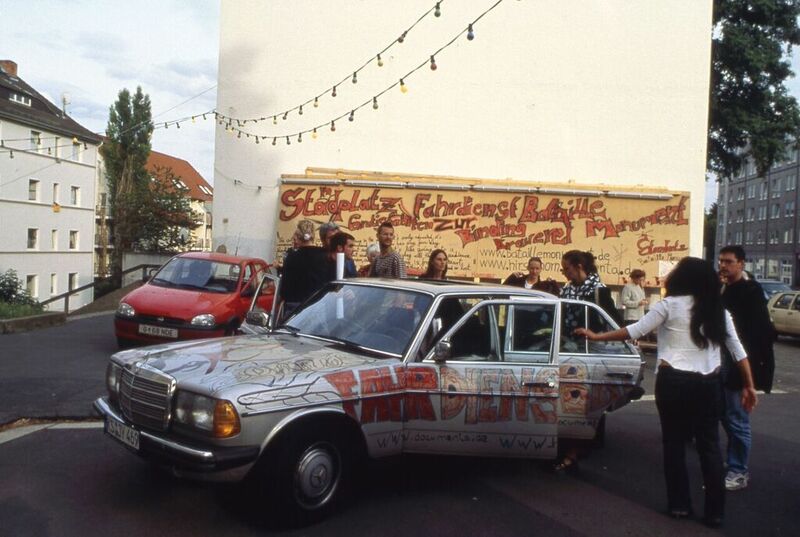 Valie Export, Sanja Iveković, Rachel Whiteread) and discuss the theoretical implications of delegation as agency, ranging from the concept of presence, memory, to the ideal of audience engagement. I reflect on the difficulty of delegating performance as an act of democratic involvement and on the temporal shift in performance from an art of “presence” to one of self-historicization. My lecture argues the conceptual significance of performance, and of a performative model of art, to the revival of the monument in Europe in recent decades. I argue that the centrality of performance to public art in general rests not on its ephemerality or anti-authoritarian rhetoric, but on its power to build interpersonal bonds both personal and social, and on its engagement with urban space. Drawing from examples in central Europe, e.g. Jochen Gerz, Joseph Beuys, Thomas Hirschhorn, Marina Abramović, Santiago Sierra, and from theories of the public sphere, I discuss the performative interaction with the urban fabric and its relevance for the development of the contemporary monument, as well as questions of censorship, authority, and the problem of agency in contemporary commemorative practices. Mechtild Widrich is Assistant Professor at the School of the Art Institute of Chicago and an affiliated researcher at the Eikones Iconic Turn Center at the University of Basel. She holds an M.Phil. in art history from the University of Vienna and a PhD from the History, Theory and Criticism Program, Department of Architecture, MIT. Her research focuses on ephemeral practices in relation to the built environment, urban activism, and on global art geographies. Her book Performative Monuments. The Rematerialisation of Public Art (Manchester University Press, 2014) examines the intersection of performance art and the monument in central Europe. She is co-editor of Participation in Art and Architecture. Spaces of Interaction and Occupation (Tauris, London, 2016); and Presence. A Conversation at Cabaret Voltaire (Sternberg, Berlin, 2016). Her essays and reviews have been published in the Journal of Architectural Historians (JSAH), Art Journal, Grey Room, The Drama Review (TDR), Performance Art Journal (PAJ), Log and thresholds. She has received fellowships from the Fulbright Scholar Program, the Max Planck Institute for the History of Science, the Woodrow Wilson Foundation, MIT, the National Gallery of Art, Washington D.C., and the Fohn Foundation Austria, and is a member of the academic advisory board of the Jewish Museum Vienna.